Every year the School for Young Talent’s Cultural Fund awards a scholarship for a student in groups VI to VIII of the Dance programme. The winner can use the money to attend an advanced course at a leading international institution or to follow a short programme, course or workshop abroad to enhance their skills as a dancer. The winner of the scholarship is selected on the basis of a master class, which was given this year by Joanne Zimmerman. The jury – Aurélie Cayla, Francis Sinceretti, Karin Schnabel and Pascale Neveu-Eyk – evaluated the talent and the artistic and technical ability of the students having regard to the phase the student has reached in his or her development. 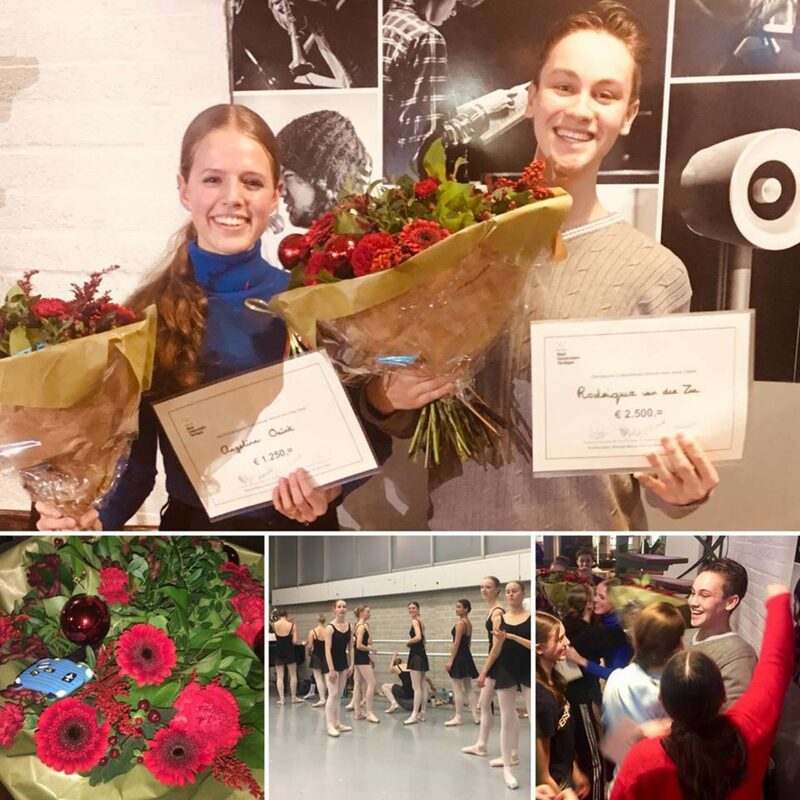 Following their deliberations, Pascale Neveu-Eyk announced on behalf of the jury that the Dance scholarship of € 2,500 had been won by Rodriquez van der Zee (“passionate, fiery”) and the Encouragement Prize of € 1,250 by Angelina Onink (“technically excellent, but now really go for it!”). 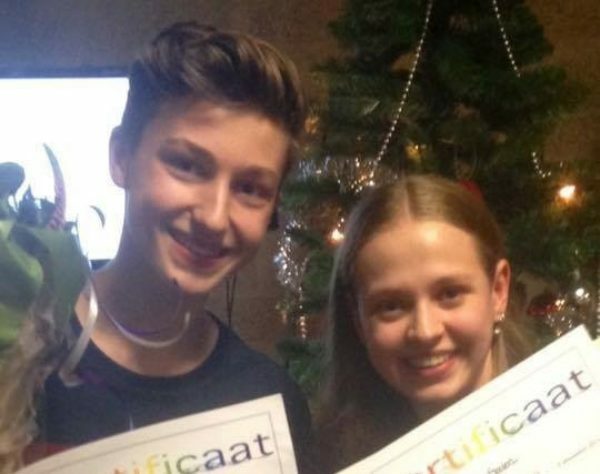 Do you want to learn to dance as well as Rodriquez and Angelina? Then come and audition for our SvJT Dance!